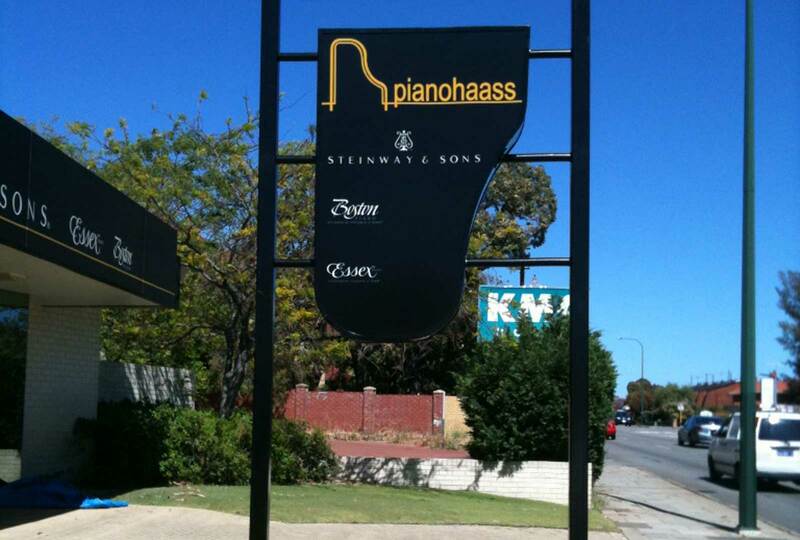 Augen Design completed a custom designed and illuminated sign for a piano shop. Augen designed, manufactured and installed the unique piano shaped sign. The design was to be complimentary to the business and was supplied replace a storm damaged sign. The completed project included footings and electrics for the illuminated sign.